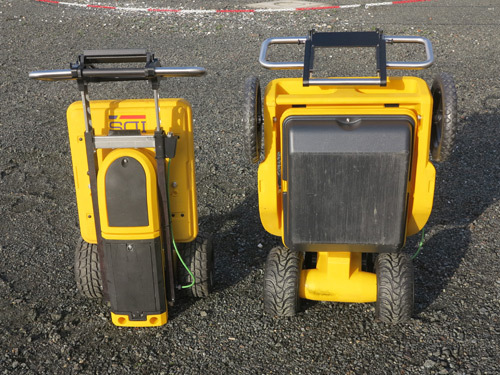 The Opera DUO GPR system is the evolution of the award winning Detector DUO product and is probably the most intuitive ground penetrating radar system ever built. Through its easy to use interface, the Opera is a ‘click and start’ system. Just switch on to receive the best performance in all ground conditions, gone are the days of performing calibrations and adjusting manual settings. Its robust construction enables it to operate in the harshest of conditions while an adjustable handle, pivoting head and large wheels provide superior manoeuvrability and portability. The duel encoder system allows the operator to cover ground without losing distance measurements. 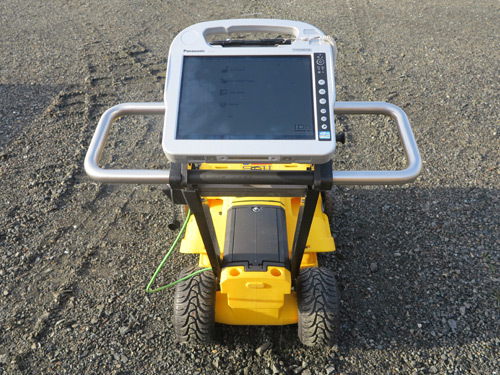 The system integrates with GPS to track and mark the location of targets with an easy to use interface with the ability to export directly to CAD enabling the operator to produce professional survey reports directly in the field. This product has the option to be used with the GRED HD Basic, GRED HD 3D & GRED HD 3D CAD software. Dual frequency antenna lets you see shallow and deep targets simultaneiously. New design and parts make it robust for all terrains. Remote controlled spray system in order to mark your findings. Pivoting head provides better contact and thus reduces signal loss. Adjustable handle to ensure a better feel and control of the system. Results delivered directly on-site through the IDS proprietary tracking solution. 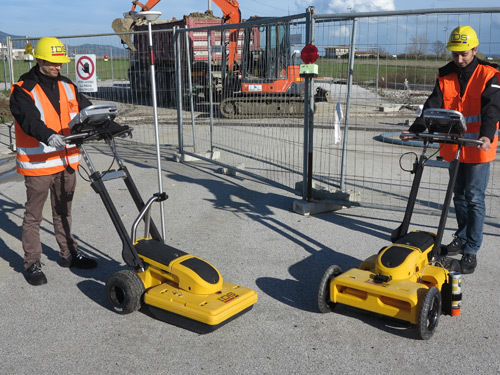 The Opera is the easiest to use GPR system, just click and start. Ergonomic design –cables, control unit and batteries housed internally. GPS and Total Station enabled. Export to CAD function for on-site reporting. Google Earth enabled for on-site visualisation.